That’s the first word that comes to mind upon listening to Amanda Shire’s fantastic new record To the Sunset. It’s a word that returns to your consciousness throughout this masterful collection of songs. Unbound from genre, burdened with expectation, fulfilled with artistry. Shires’ evokes firebrands of all types throughout the ten tracks. Echoes of Robyn Ludwick, Holly Williams, Robert Ellis, Father John Misty and Sean McConnell coalesce into something supremely Shires’ own. Dave Cobb continues his gold-touch production streak of distilling what the artist is trying to say by pushing just the right buttons and never the wrong ones. Each note, track, tempo, level is excruciatingly perfect. Shires is a music biz survivor who is now thriving and chasing her own muse in every manner possible. This record is as much 80’s alternative college rock as it is 10’s alternative country. And, that’s a good thing. It is different in the best way. There are many moments the songs sound as if Shires is fronting peak REM. Set opener “Parking Lot Pirouette” and “Leave It Alone” in particular express Shires’ willingness and abilities to take songs where others are afraid or unaware to venture. Dynamics abound in both lyric and instrumentation with “Charms” being perhaps the best example as Shires takes a simple child’s charm bracelet and uses the narrative to push a new take on the motherhood anthem. This is the type of record that won’t just garner attention in the Americana circles, but should be a favorite to claim a few Grammy’s come next winter. Industry platitudes won’t make this record anymore important or vital. The fact that Shires took this moment in her career to create something so beautifully haunting and daring is what makes music the best artform around. 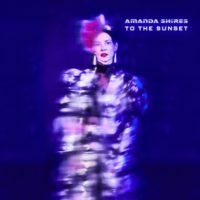 In the span of ten tracks, you learn more about Amanda Shires than you ever thought possible. A true masterpiece. My brother suggested I would possibly like this website. He used to beentirely right. This publish actually made my day.You can not believe simply how a lot time I had spent for thisinformation! Thank you! Woah! I’m really digging the template/theme of this blog.It’s simple, yet effective. A lot of times it’s challenging to get that “perfect balance” between superb usability and appearance.I must say you’ve done a great job with this.In addition, the blog loads super fast for me on Opera.Exceptional Blog!